The goal of Saint Francis Xavier Campus Ministry is to help create spiritual avenues here at our school and parish that offer ways for our parents and students to come to know the Lord. 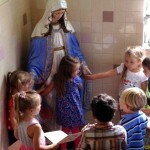 Faith is an integral part of a student’s experience at Saint Francis Xavier School. The Catholic faith is not only taught but also practiced in the student’s daily life. The school day begins with prayer over the intercom system in which the entire student body prays for a successful day and for intentions that either students or faculty would like to remember throughout the day. All classes pray together during the day especially before religion class, and before meals. 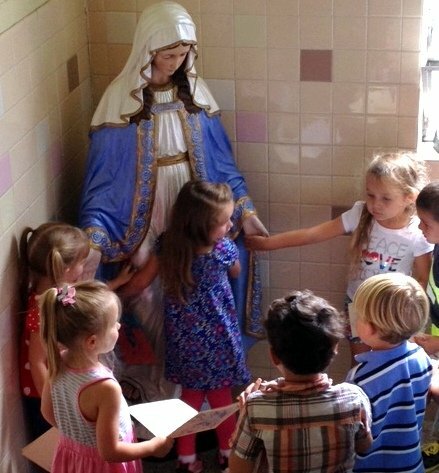 The school also prays at noontime, by reciting the Angelus during Ordinary time, and the Regina Caeli during Easter Time. The school day ends with a short examination of conscience, where the entire school body is prompted to review their day, asking God for forgiveness and the grace to amend our lives. 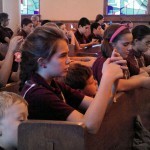 Children will attend Holy Mass every Monday, and First Fridays, weather permitting. 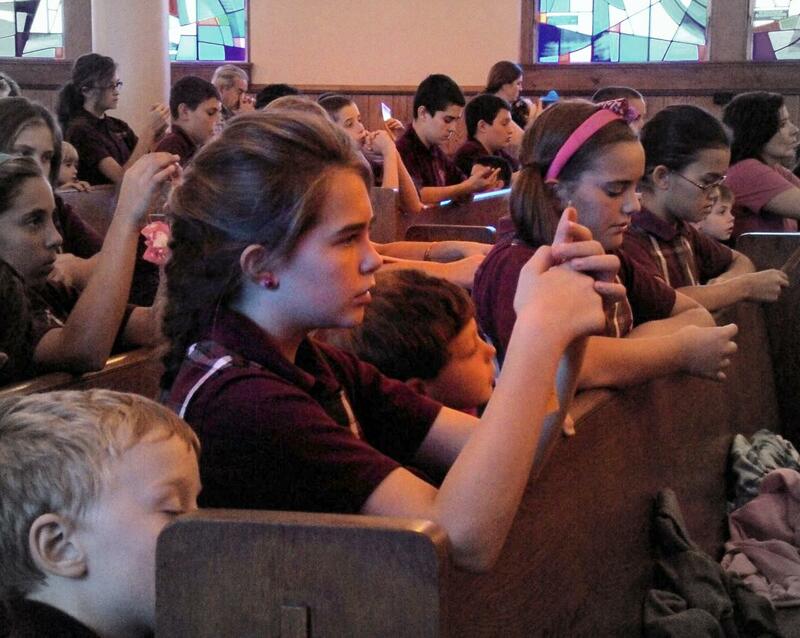 Children participate actively in the school liturgies and other prayer services throughout the year. All Holy Days of Obligation and celebrations dealing with the liturgical calendar including Advent, Lent and Holy Week are celebrated during the school year. A day of celebration will also mark the feast of St. Francis Xavier, patron saint of the parish and school in December. 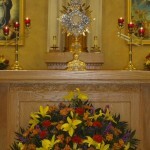 Eucharistic Adoration is the act by which we adore the Real Presence of Jesus in the Holy Eucharist. 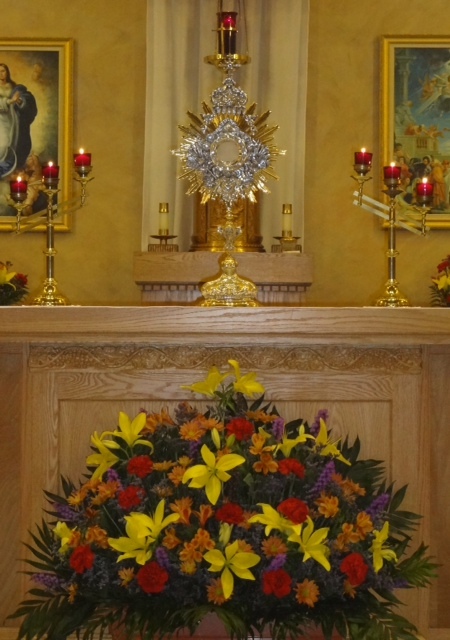 Students from all grades adore our Lord in the Blessed Sacrament every first Tuesday of the month in our school grotto. Our hope and goal is to bring students to see that we live our faith each day and serve as examples of Christ’s love for others. The lives of the saints will serve as real-life examples of virtue at work in the world. Christian virtues permeate the curriculum and the school programs. 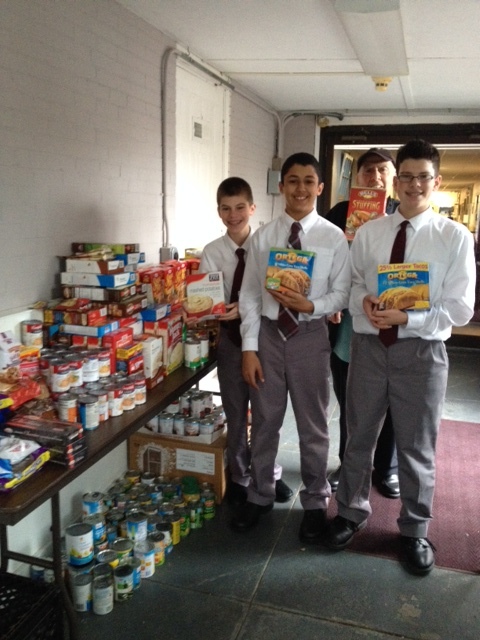 Children participate in service activities including preparing holiday food baskets for the needy and participating in various programs to benefit charities.